Alba is devoted to creating products combining cutting edge design and ergonomy, and has achieved international success as a major designer and manufacturer in the office products market. Alba office products and accessories offer the discriminating consumer the optimal combination of form and function. The Alba Triangular Umbrella Stand is both fashionable and efficient. It offers a large capacity (holds up to 10 umbrellas) and is equipped with spaces for ventilation. The triangular shape offers stylish design and features an umbrella side graphic with cutouts to help identify the product immediately and guarantee a fast umbrella drying. The stand is shipped in a flat pack and assembly is easy to complete in 2 minutes without any tools needed. Alba makes products that fit your needs with the perfect combination of function, fashion and comfort. Features six wood and metal hangers. Four coat/accessory knobs and an integrated umbrella stand with a water retainer. Weighted base for great stability. 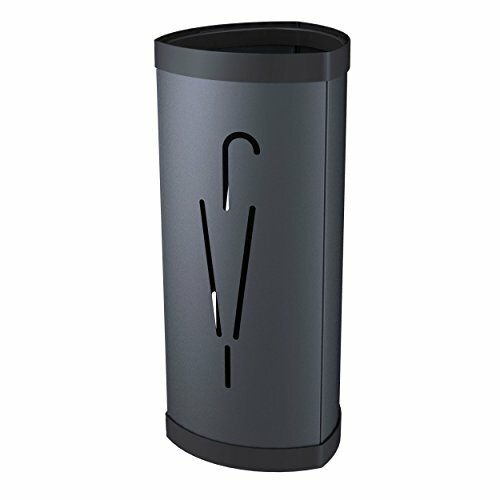 Triangular umbrella stand offers a large capacity, holds up to twelve umbrellas. Clever umbrella cut-out design on the sides provide excellent ventilation and speeds up drying time. Equipped with a water retainer. Three interior hooks to hang pocket umbrellas. No tools required for assembly. Alba is devoted to creating products combining cutting edge design and ergonomy, and has achieved international success as a major designer and manufacturer in the office products market. Alba coat stands and hangers are designed to be both stylish and easy on your garments. The Alba Festival Floor Coat Stand is a beautifully elegant, high capacity coat tree with metal and wood detail. Its many hooks and alternating lengths are perfect for holding a large selection of coats, sweaters, jackets and accessories. The ergonomic design features smooth, rounded tips with wood accents that won't damage your clothes. The frame contains a smart umbrella stand which can hold up to 6 umbrellas, and a removable water retainer which keeps drips contained, floors dry, and is easy to clean. The attractive black base is weighted to keep the stand stable. Alba makes products that fit your needs with the perfect combination of function, pleasure and comfort. Elegantly styled grey metal coat stand, finished in light wood and metallic grey. It has six coat pegs and six hooks for accessories. Also an integral umbrella holder, holding up to 3 umbrellas. A 5 lbs. Metal base gives stability. Dimensions 15 x 15 x 69.3"
Alba is devoted to creating products combining cutting edge design and ergonomy, and has achieved international success as a major designer and manufacturer in the office products market. Alba office products and accessories offer the discriminating consumer the optimal combination of form and function. 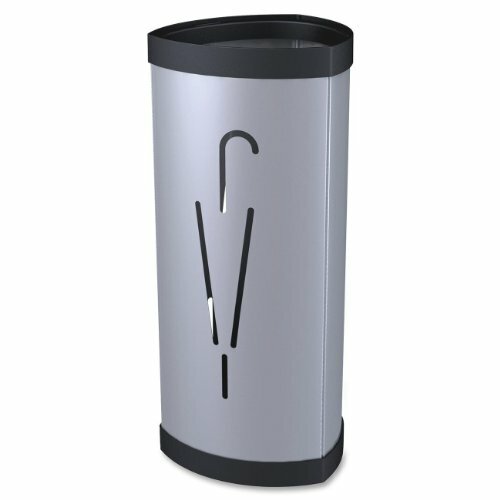 The Alba Oval Umbrella Stand is both fashionable and efficient. It offers a large capacity (holds up to 10 umbrellas) and is equipped with spaces for ventilation. The oval shape allows for space saving and multiple units are stackable. 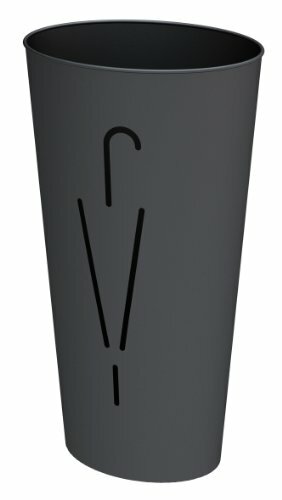 The stylish design features an umbrella side graphic with cutouts to help identify the product immediately and guarantee a fast umbrella drying. Alba makes products that fit your needs with the perfect combination of function, fashion and comfort. Two foot tall umbrella stand, crafted using high temperature fired, heavy Chinese porcelain. Finished in a lustrous metallic silver glaze for a luxurious liquid metal effect. Use as storage for wet or dry umbrellas in a home entry way or office lobby. Elegant silver stand suits everything from classic to more modern interior styles. Alba is devoted to creating products combining cutting edge design and ergonomic form, and has achieved international success as a major designer and manufacturer in the office products market. Alba coat stands and hangers are designed to be both stylish and gentle to your garments. 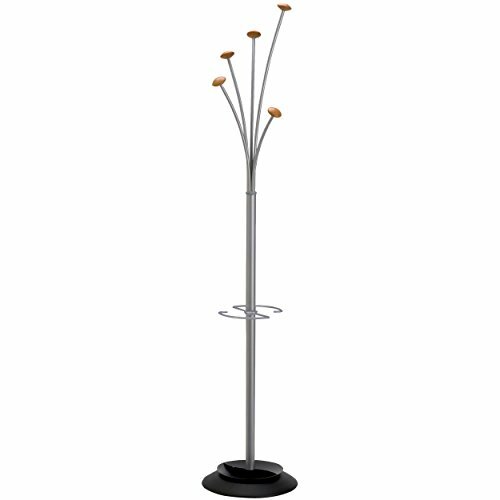 The Alba Stily Floor Coat Stand features an ergonomic metallic design with four smooth, rounded knobs with wood detail that won't snag or tear your clothes. With the additional four smaller accessories hooks, this contemporary costumer can easily hold garments, hats or accessories. The frame contains a smart umbrella stand and a removable water retainer which keeps drips contained, floors dry, and is easy to clean. This attractive base is weighted to keep the stand stable, and the sleek metallic gray finish works well in any home or office environment. Alba makes products that fit your needs with the perfect combination of function, pleasure and comfort. Constructed of steel tubing with a 15-1/5" diameter, weighted, black metal base. Four wood coat knobs, four wood accessory hooks and an integrated umbrella stand with removable water container. Mounting: Stand Alone; Width: N\A; Depth: N\A; Height: 70 in. This contemporary chrome coat stand from Alba has six coat pegs and six accessory hooks. Stylish and functional, this coat stand also features an umbrella holder and removable water retainer for those rainy days. A metallic weighted base provides added stability. Originally established in 1958, Alba is devoted to creating products that combine design and ergonomy. 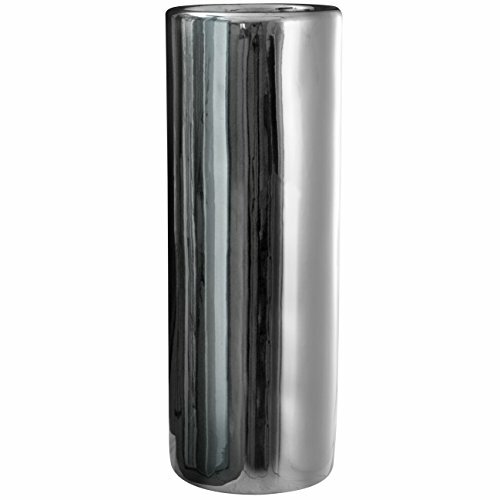 Copyright © Wholesalion.com 2019 - The Best Prices On Metal Metallic Umbrella Stand Online.